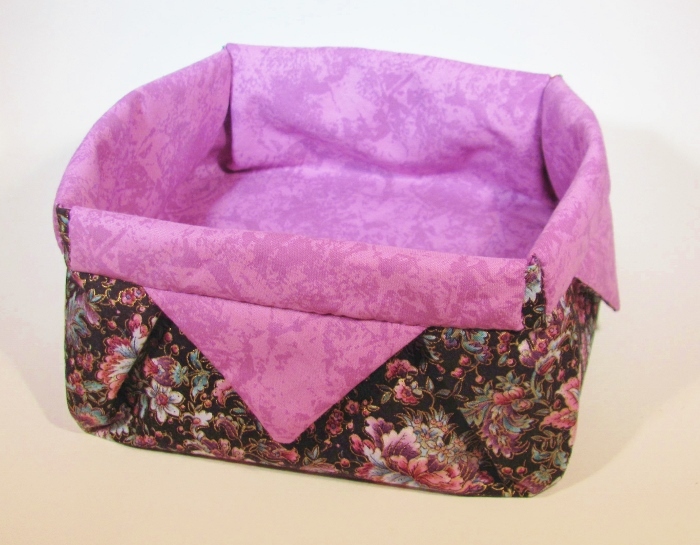 I used the same fabrics to create a second origami fabric box. It was easy because I cut all the parts together. 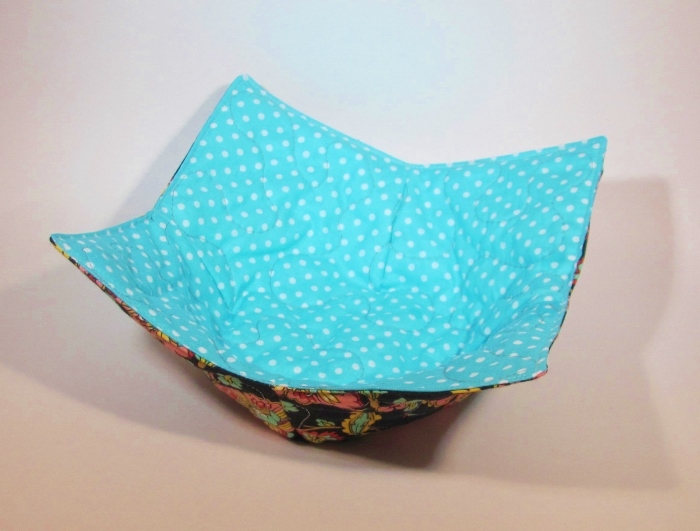 For this one I turned down the top edge differently so it makes a deeper cuff but without any fabric triangle showing. This fold up just like the other one but makes a more compact piece. 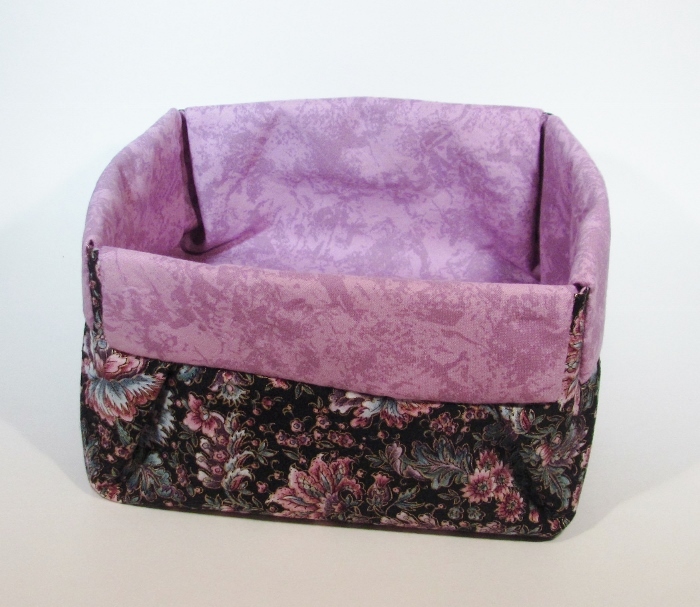 I'm wondering about covering a mat board with matching fabric to strengthen the bottom. Of course, it would have to come out to collapse the box but it still might me fun to try. 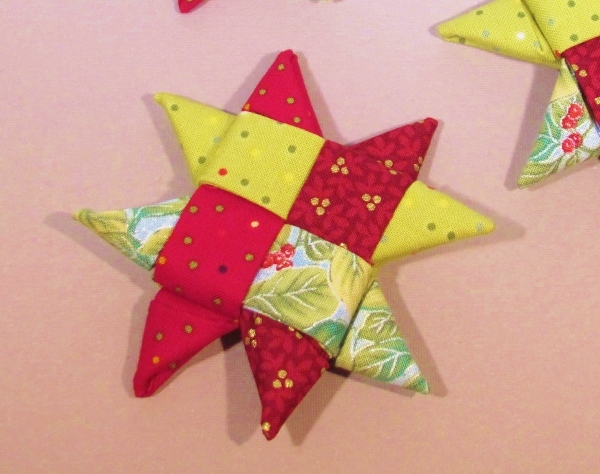 Of this color combination I made a total of 6 folded fabric stars. 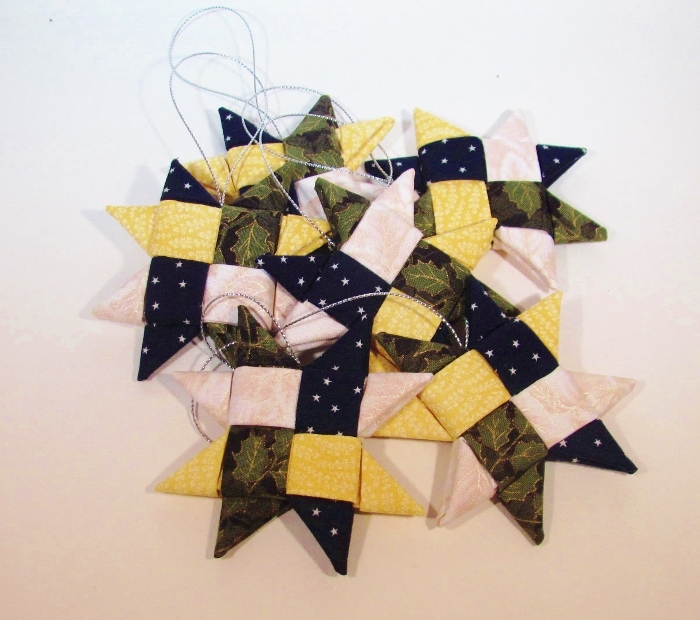 These are the same size as the red and green ones shown yesterday - 3/4 inch across each of the center squares for a total of 3 inches across the star. 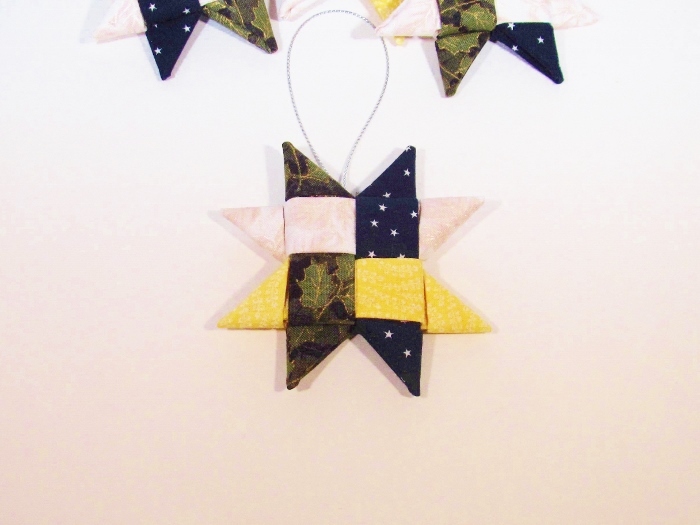 I also stitched hanging strings (silver cord) to each star as they are intended to be Christmas ornaments. The red and green ones were finished up too, with gold hanging cords. 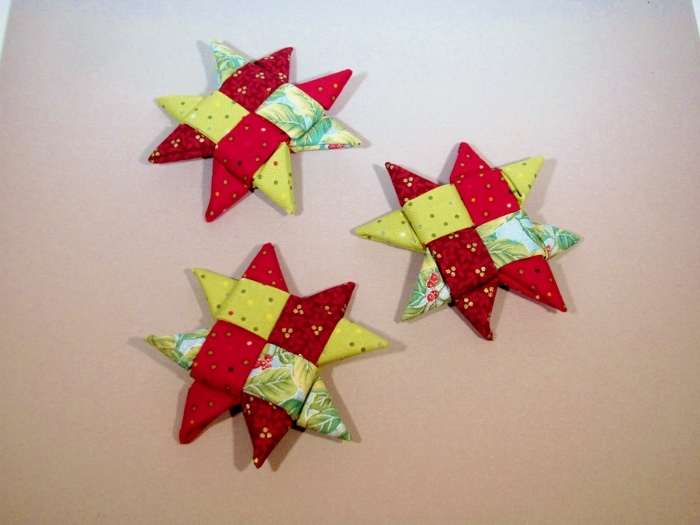 Another fabric craft I found on the internet was woven star ornaments. With these there WERE written directions... in German. So I gave it a run anyway, working from the photos. I chose some Christmas colors. 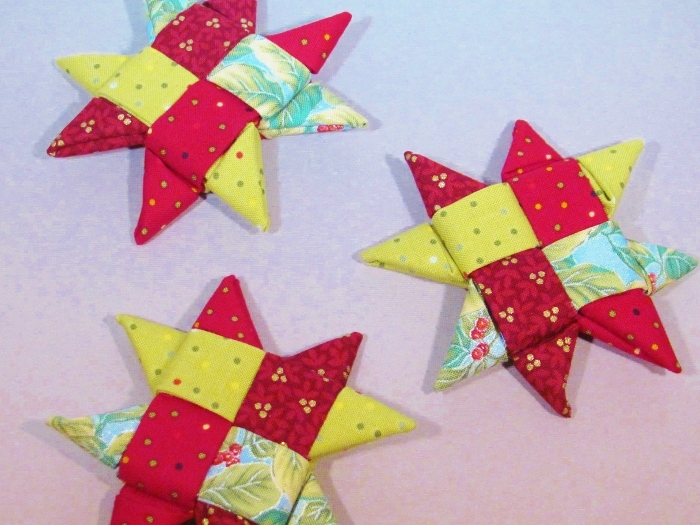 I think these are called Morovian stars but they come out looking like a little quilt block. The width of the fabric strips is 3/4 inch (starts with a 3 inch wide strip folded in half and then the sides to the middle - like a double-fold bias tape). These require no stitching, other than when I attach the hanging strings (not done yet). Won't You Be My Buddy? Last Christmas when I made a couple of microwave bowl buddies (shaped potholders) I cut a bunch of extra parts and set them aside. While I was rooting through the studio I unearthed them and decided to construct a couple of them for myself. 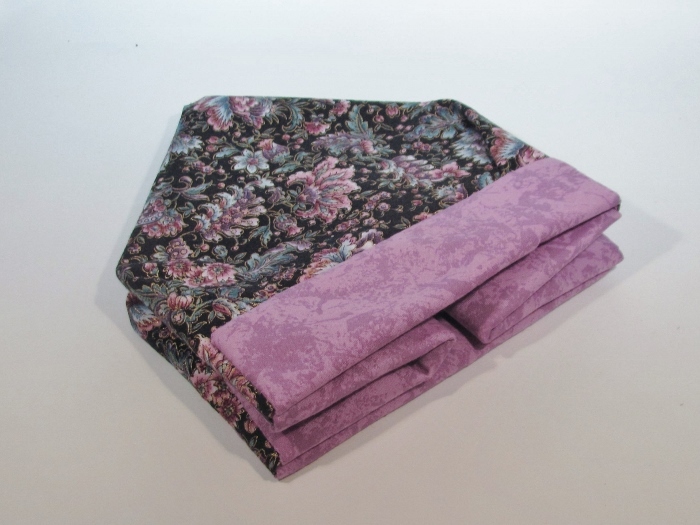 These look familiar because they are the same fabrics I used on the previous set. 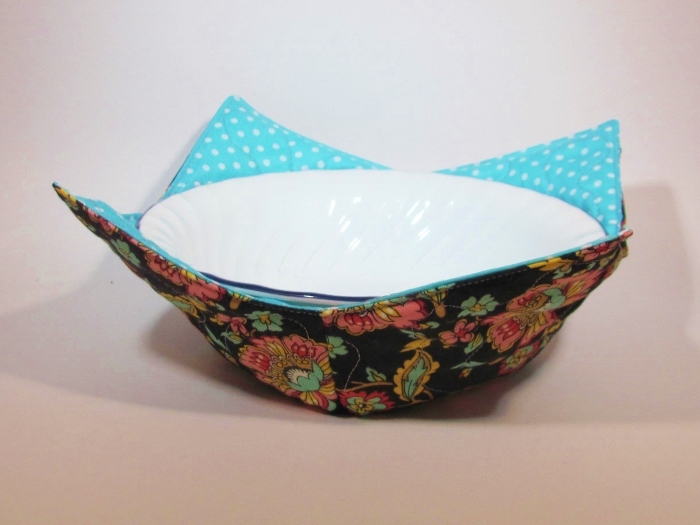 Here is a view with a bowl in place. And a view without the bowl. This is the other color scheme. And of course, they are reversible. I put them in the cupboard with the bowls so we will remember to use them. If I put the in with the other potholders I'd forget them until the food was already hot. 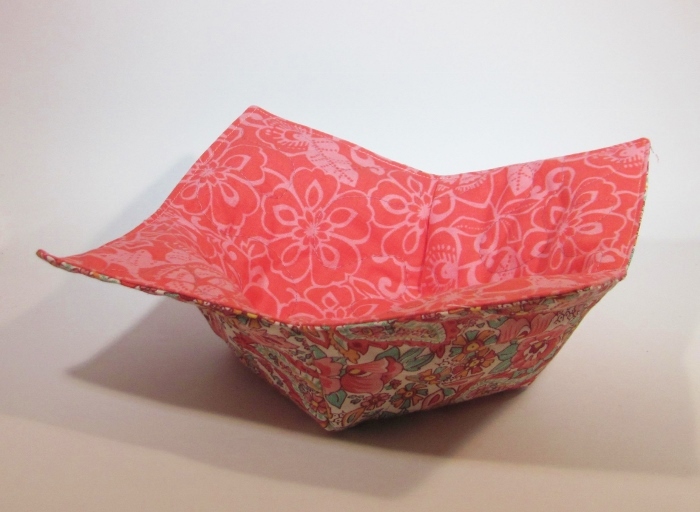 I went trolling on the internet for some 'fabric gift ideas' and found an origami bin to make. Unfortunately, there were NO written instructions, just pictures. Some of the steps looked a lot like teabag folding which I have done a lot of so I decided to give it a try. 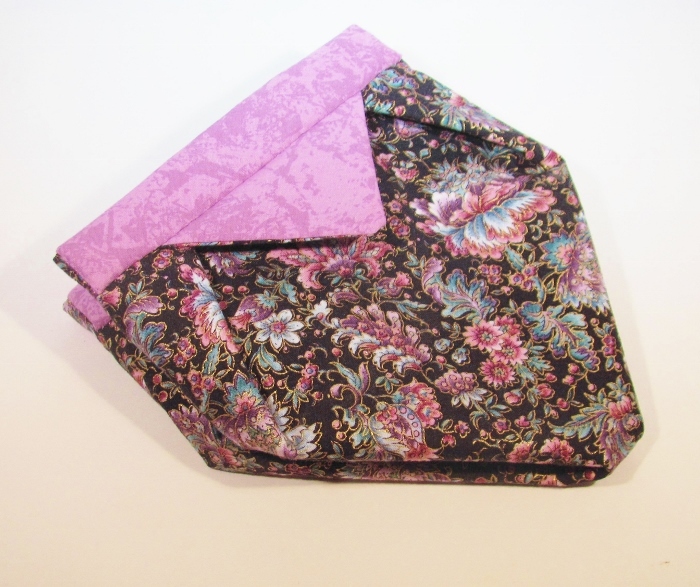 There is an iron-on stabilizer on the back of the patterned fabric and both pieces start at 17 1/2 inches. They are sewn fronts together and then turned right-side-out. After that it is all origami folding followed by stitching the upper rim flaps down. It finishes at about 7 inches square. 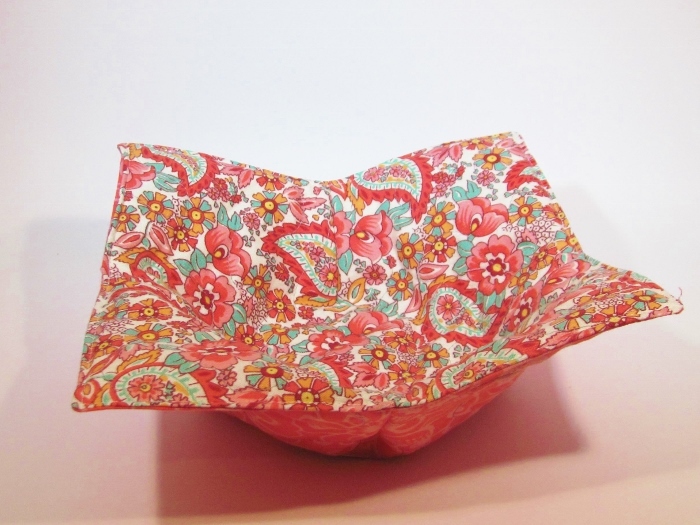 This would be good for catching scraps at the sewing machine or while hand-sewing. When done, the whole thing folds flat.